I love historical fiction when both words are handled excellently by an author, don't you? I've been lounging in the garden this summer, making my way slowly but surely through a pile of books. 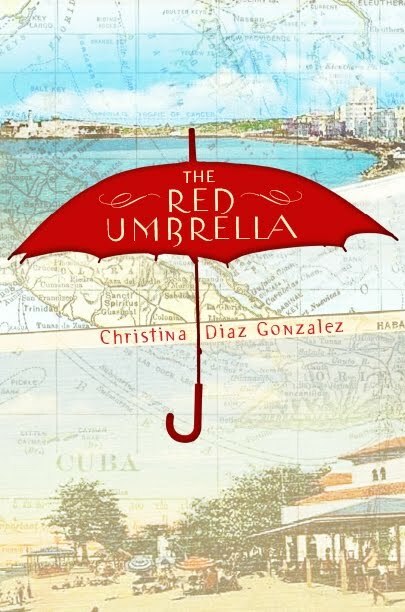 But time didn't plod as I read Christina Gonzalez' THE RED UMBRELLA (Knopf Books for Young Readers) — it flew as I turned page after page without stopping. This tender, intimate look at one family's separation is a superb way to learn about Operation Pedro Pan and the Castro revolution in Cuba. Between 1960 and 1962, with the help of the the Roman Catholic Archdiocese of Miami, over 14,000 children from Cuba were sent by parents who opposed the revolutionary government. These children were placed with friends, relatives and group homes in 35 states. The first half of the novel is set in Cuba, and provides an incredible firsthand look at how a young person's life can change drastically and quickly under a repressive government. Everything is at risk as the danger builds — friendships, romance, work, home, family. The second half is set in Nebraska, and focuses on Lucia's efforts to become part of life on a North American farm while taking care of her brother Frankie and missing her parents intensely. Yes, I got choked up in places, especially the ending, and so will you. THE RED UMBRELLA is a perfect read for middle-schoolers and I've been recommending it right and left. 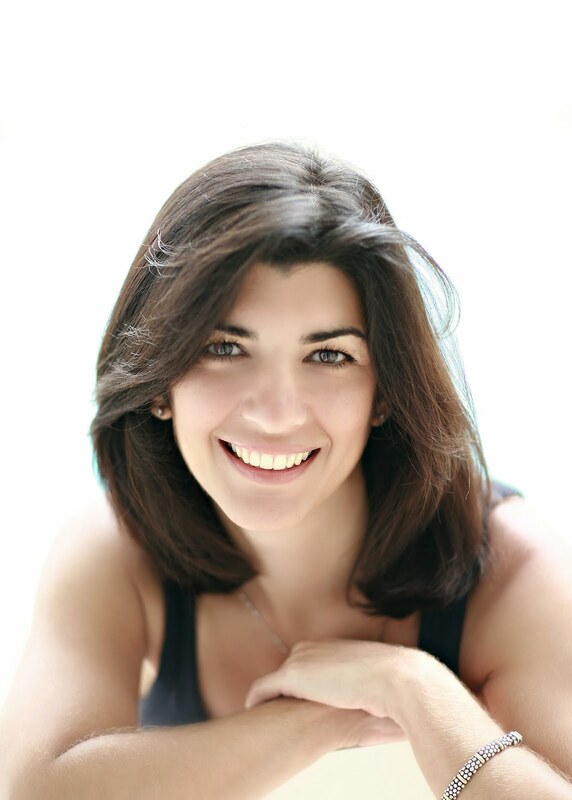 So, tell us, Christina, when, why, and how did a successful lawyer decide to write a children's book? I've always been a big reader, but when I saw my children reading some of the same books I loved as a child, my passion for writing was re-ignited. I enjoyed being an attorney, but I wasn't passionate about it. Writing for middle graders/young adults is what I love to do because I believe that is the time in your life when everything and anything is possible...your whole life lays before you and you take those first steps in choosing who you will be. What can be more exciting? Absolutely nothing. Moving from passion to hard work, what kind of research apart from talking to relatives did you do for THE RED UMBRELLA? I read American and Cuban newspapers of the time to see how the same historical events were being depicted in the two societies. Yet there is nothing like getting first-hand accounts and so I spoke with many people outside my family who were part of Operation Pedro Pan. This really gave me an even deeper insight into what my parents and mother-in-law went through when they were sent out of Cuba as teenagers. Of course, this all caused me to want to learn more and so I asked more probing questions about my own family's experience and listened closely to the stories I'd probably heard since I was born...amazing what you find out when you truly listen! I encourage everyone to pay attention to their own family stories, whether it's a story of how their family came to the U.S. or how a relative fought valiantly during wartime or how someone succeeded in the face of many obstacles...these are all unique family stories and they should be preserved for future generations. Absolutely! I agree 100%. Have you visited Cuba? Have your parents gone back? Your mother-in-law? I've never been to Cuba, but hope to be able to visit a "free Cuba" one day. My parents and mother-in-law have not returned since they left almost 50 years ago. How Cuban are your kids when it comes to identity? Do you purposefully foster a bicultural identity in your home? My kids definitely identify themselves as American first, but they are very proud of their Cuban heritage. It is a bit of a struggle to have them be bilingual, but my husband and I are trying. The bicultural identity seems to be developing naturally...it's just who we are. I also realize how very lucky we are to be living in a community such as Miami where so much of the Cuban culture surrounds them...from the food, music and friends who have similar backgrounds...it permeates the air. Since I live in Boston, I love reading about something the Catholic church did well. Or at least tried to do well. What's your feeling about the way the church handled the whole operation? Singing with you. But let's move to the journey of getting the novel published. What was a high point? A low point? A definite high point was when I met my editor at an SCBWI conference and she critiqued the first ten pages of my manuscript. She told me that she loved my writing and that Random House might be interested in acquiring the novel. I couldn't believe she was saying those words to me! I barely heard anything else she said after those magical words until she asked me one particular question...which could have easily become a low point. She asked "Are you almost done with the book?" A perfectly normal question except I'd only written 15 pages! I swallowed the lump in my throat, smiled and answered, "I'm almost done." My editor was very happy to hear that and asked that I send her the finished manuscript by the end of the summer ... did I mention that it was already June? I arrived home the next day, put my kids in camp, enlisted my parents to help me in the evenings by cooking dinner for the family and wrote non-stop for six weeks. By August, I was done and what had originally been written as a five-page short story (which had been rejected several times by several people) was transformed into a full novel. There's truly no better incentive than knowing that your dream in within arm's reach! She must have been tickled when you told her the truth. What was the biggest change you made in response to an editorial suggestion? There were no real "changes", but there were several instances of "we need more." One of the things my amazing editor wanted was a holiday scene. I chose to add a chapter about Christmas Eve and then my editor cried out, "You can't leave us hanging...show us Christmas Day, too!" I ended up loving those chapters and they are all thanks to the encouragement of my editor. Could you describe a fear you have about this novel that can or did keep you up at night? I feared that it would not do justice to what these children went through in leaving everything behind. It has been incredibly rewarding to receive emails from so many of the Pedro Pan children who say that they love the book and that my fictional story mirrors their own real-life experiences. Those are the best kind of fan letters. Okay, here's my last question: What's next for Christina Gonzalez in the realm of children's books? Are you sticking with historical fiction, or do you have other interests to pursue? For now, I'm sticking with historical fiction as I just sold my next book to Knopf/Random House (working again with my amazing editor) and it deals with two teens who survive Hitler's bombing of the Basque city of Guernica. This new book (tentatively titled A THUNDEROUS WHISPER) is about friendship, war, family and finding one's own importance in the world. That sounds wonderful! I, for one, am grateful that you decided to follow your bliss. Congratulations on all your successes. I have a premonition this book will garner many awards. Thank you for spending time with us on the Fire Escape. Bonus! Leave a comment with email address to enter a contest for a personalized book sent from Miami with love to the recipient of your choice. Giveaway contest ends Wednesday, July 28, 2010!